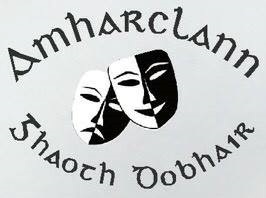 Amharclann Ghaoth Dobhair is offering a post as Cultural & Tourism Executive on a contractual basis. The person who obtains the post will be expected to manage and develop a plan towards developing tourism, art and culture in conjunction with the board of Amharclann Ghaoth Dobhair. Further information can be obtained though contacting the Amhaclann at 074 9532687 or emailing amharclann1961@gmail.com. Job details are available on request, please contact Amharclann Ghaoth Dobhair Tel: (074) 9532687 or email: amharclann1961@gmail.com. The deadline for candidates to submit their CVs and application letter is February 8, 2019. An Cathaoirleach, Amharclann Ghaoth Dobhair, Na Doirí Beaga, Leitir Ceanainn, Co. Dhún na nGall. Support for this job creation has been provided by Údarás na Gaeltachta as part of its Tourism Management Scheme to develop Tourism Strategic Projects throughout the Gaeltacht.